The solitaire setting displays classic elegance. The most popular stone shape is a classic round brilliant because of its beauty and sparkle that shows the true depth of the stone. An engagement ring that includes solitaire with accents are small diamonds that are placed beside a larger stone in a ring. They are designed to enhance the overall beauty and brilliance of the piece of jewelry. Three-stone engagement rings tell the story of a journey. The three stones that make up the ring represent the past, present and the future. The stone that represents the present is always the biggest and is placed in the center of the three stones. The smaller stones that surround the middle one represent the past and future. The halo setting is when the center stone has a ring of small stones around it. The beautiful advantage of a single or double halo setting is that it makes the center diamond look huge. 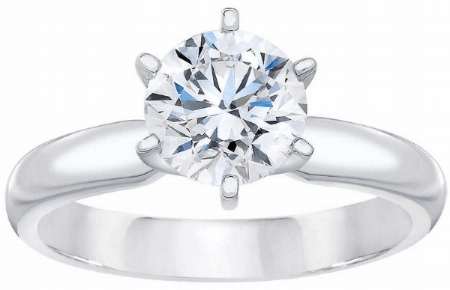 The halo ring makes the center stone look more brilliant. The halo outlines and encircles the center stone beautifully and make the ring that much more great.